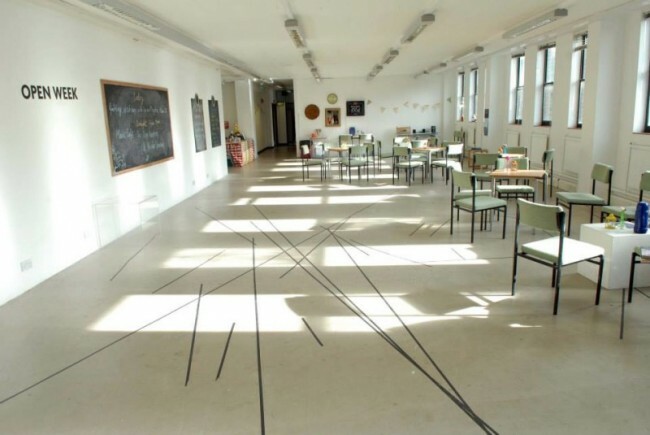 Our monthly Edinburgh and Glasgow Green Tease sessions in May heard four artists’ different perspectives on the connections between sustainability and their individual practices, and ideas about our recently launched ArtCOP Scotland project. We’re want to hear your ideas and support artists and organisations to be part of the ArtCOP Scotland project! Read more about the project and how you can get involved here. First of all, what is ArtCOP Scotland? ArtCOP Scotland responds to the UN Conference of Parties (COP21) taking place in Paris this winter (30th November – 12th December) at which crucial negotiations will seek to achieve global carbon emissions reductions, aiming to keep global warming below 2C and slowing the effects of climate change. We see this event as a great opportunity to explore what roles the arts can play in addressing climate change and building a more sustainable society and want to encourage grassroots, local-level activities and events which respond to the Paris to this question. Last Monday we gathered at Edinburgh Palette artists’ studios to hear from jewellery designer, and member of the building’s Green Team Jaimie MacDonald and musician-composer Niroshini Thambar who is a studio holder at Edinburgh Palette and attended our 2015 Mull Residency. 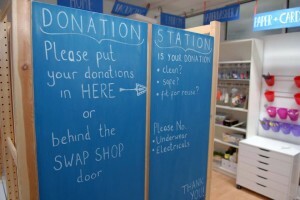 We heard about the Swap Shop initiative set up on the ground floor of the 6-storey office block-turned studios, which enable studio holders to re-use or upcycle unwanted materials. As part of this there is a ‘Re-see It’ exhibition every year which invites residents to submit works made from Swap Shop and other upcycled materials. Jaimie announced that this year they would like to invite the Green Tease network to submit works alongside studio holders as part of ArtCOP Scotland, and that they’re keen to make use of other spaces in the building for events and film screenings around the time of the COP21 meetings. So Green Tease members–get your thinking caps on about how you can contribute to ‘Re-see It’! We then heard from Niroshini who provided us with a very personal account of her experiences and reflections on this year’s Mull Artist Residency 2015. Niroshini spoke passionately about her motivations to develop an artistic practice which is socially and environmentally engaged, partly stemming from her studies at the Centre for Human Ecology with influential thinkers such as Alastair McIntosh. For Niroshini, the Mull Residency provided the time and tech-free space to reconnect to these motivations and situate them more firmly in the context of the UN Sustainable Development Goals. On Tuesday we travelled through Trongate 103 for a session with choreographer/director Melanie Kloetzel and writer/visual artist Penny Anderson. Around the table we were joined by artists as well as representatives from the Royal Conservatoire of Scotland, the CCA and Sustainable Glasgow. We first heard from Melanie, who talked about the performance project ‘Room’ which she has developed during her year-long sabbatical in Glasgow from Calgary, Canada. We learned about her interest in ‘site specific’ and ‘site adaptive’ performance as a powerful means of exploring the theme of climate change adaptation. Melanie spoke about the differences between climate change mitigation which address the root causes by reducing carbon emissions and adaptation which seeks new solutions to the risks posed by climatic changes. Through ‘Room’ she explores the tensions between the lack of individual agency we often experience in relation to climate change and the the language of environmental management and control that exists within adaptation debates. Building on April’s ArtCOP Scotland launch, Penny concluded our discussion with some provocations on what role social media could play in the ArtCOP project. She talked about her interest in the individual’s capacity to outsource questions and build communities through channels such as Twitter. Through examples of Steve Messam’s Paper Bridge project where he sourced an entire artwork through a social media appeal for paper, we discussed how we can inspire a similar online ArtCOP Scotland movement. From the range of ideas discussed during last month’s events there’s clearly a strong interest in making ArtCOP Scotland happen! With a number of proposals already coming in for activities across Scotland in November and December, our next step is to start building connections and facilitating partnerships. We’re also in the process of producing a ‘Setting the Challenge’ document which will provide activity suggestions for different groups. In the meantime, we’re always on the lookout for exciting proposals for future Green Tease events. Check out our new Green Tease DIY Handbook which enables you to use the Green Tease model to explore the links between arts and sustainability. And our June Edinburgh and Glasgow June Green Tease plans are now live so sign up here!